Some weeks go by fast, and some really slow. This particular week has felt like an oncoming storm with new opportunities and experiences. All in good ways. I was able to reconnect with Roxy yesterday and sat down for a few minutes to input her medical information into her bracelet. It worked effortlessly and she was really happy about having the backup technology. It feels good to know that she has a safety net now. She doesn’t have to worry so much about having her stuff tossed or stolen. The bracelet is literally just one small thing, but I hope it helps. 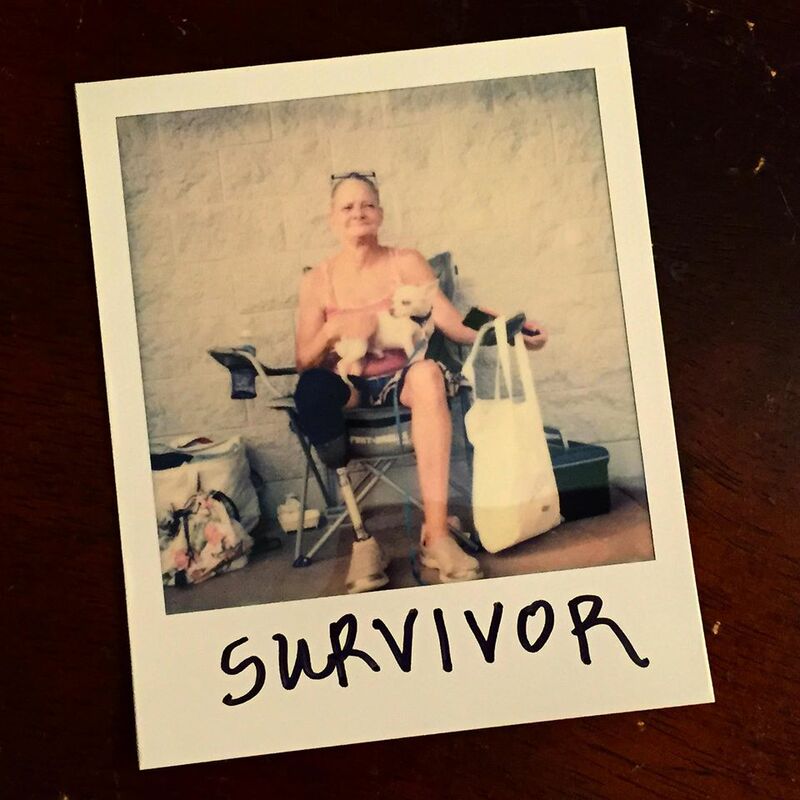 When asked to write one word to describe herself and what it is like being a homeless woman, she shared: “Survivor.” It was perfect. Roxy has been through hell and back, and yet she still carries herself with dignity and maintains a positive outlook on life. I’m still partly in the ivory tower — I have a ladder that I like to use to escape every now and then. Camera in hand, of course. It’s a good balance. Every day is a new day. Every day is an opportunity to grow and learn from others and ourselves. Tonight I’m thinking about how all the little things in my past led me to meeting Roxy. Believe it or not, she has actually helped me to understand some of my unresolved feelings about my own mother. What it means to love someone, but from afar because it’s the healthiest way. And I’ve been able to share what it’s like to do the same, but as the child in the relationship. We were both equally touched by our emotional exchange about the feelings of loss in letting go of those we love… and accepting that some people can stay in your heart, but not in your life. It is a beautiful thing when perfect strangers can meet with open hearts, open minds, and simply acknowledge the other in a mutually respectful and loving way. I’m glad I can share these kinds of memories and look forward to continuing the journey. I love reading your posts, Diana. You have no idea how you’ve inspired me. Praying for you and Roxy today.